The creative couple format is one that works. All we have to do is remember the sublime and prolific work of the Eames, the couple par excellence in this kind of activity, unlikely to be bettered. In our country, there are now several design and architecture studios with a duo at the helm. 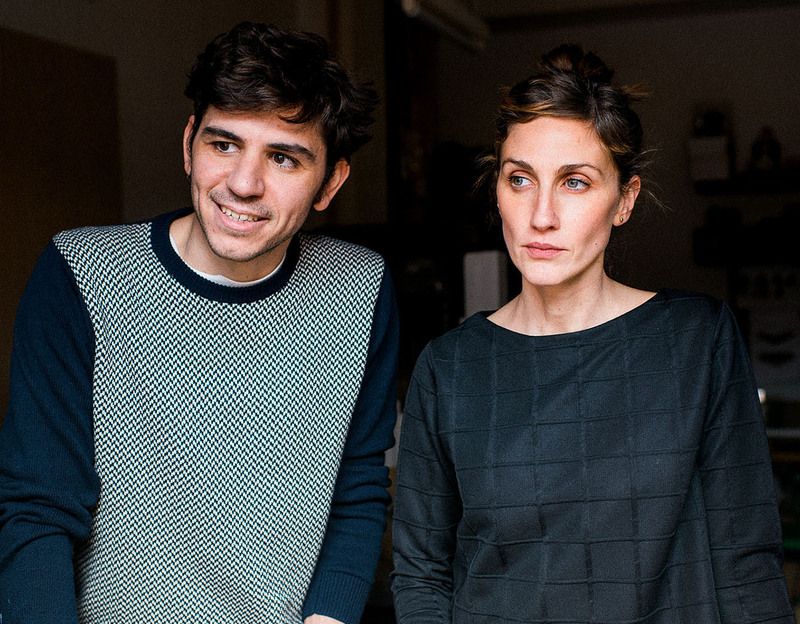 Antoñito and Manolín, recently setting up in Seville, are one example. This young studio pays tribute to the parents of the two creators with a name that also brings to mind the famous duos of our national comics, like Mortadelo and Filemón or the irreverent twins Zipi and Zape. From their base in the Andalusian city they produce meticulously made furniture and craft objects that have already positioned them as a pair with a bright future. Pablo Párraga y Trinidad Salamanca, the Antoñito and Manolín faces. With family ties to design on both sides (Trinidad Salamanca’s father, Antoñito, had a workshop at home where he worked tirelessly, and Pablo Párraga’s father, Manolín, was a technical architect) it was not until three years ago that the pair traded the security of insurance and communications for something as erratic and as exciting as product design. They moved from Madrid to Seville, a creative hub that of growing artistic reputation, where Carmen, their daughter, enjoys a quality of life alongside her parents that they did not have in the Spanish capital. “In Seville, you can feel the energy of an emerging creative community which is doing some amazing things; we don’t understand the limits of a city when it comes to being able to do a job”, the studio asserts. Model of fixture Alex and materials details. 1. 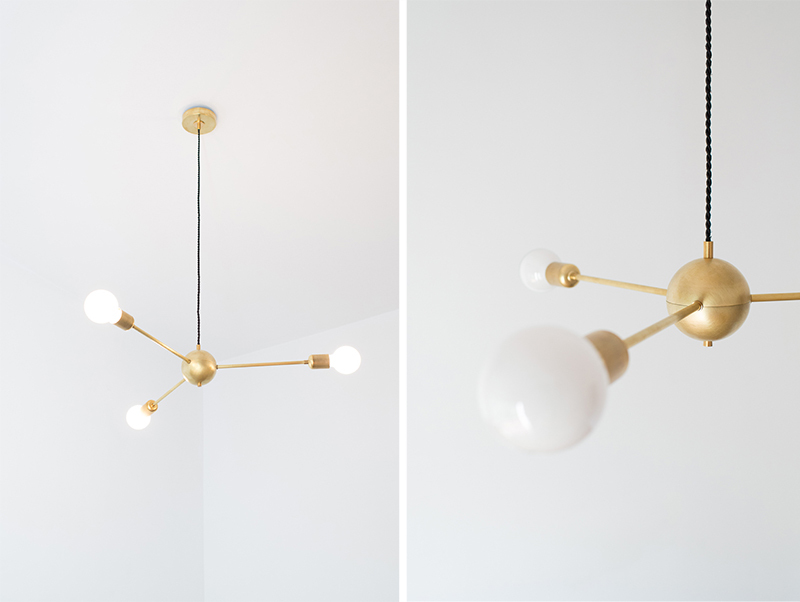 Your first projects focused on lighting. What do your lights offer that others on the market don’t? We try to create a timeless, balanced product with a simple appearance. The industry has changed now and look for uniqueness, differentiation and our own brand, hence the mixture of materials and the larger sizes and volumes. We work from a more global perspective that can result in a lamp, a piece of furniture, a sculpture… the functionality per se is no longer the main objective. 2. Is it easy to establish yourself as a studio from Seville? Seville ticks a lot of boxes for us. We came here fully aware that it’s not Madrid, Barcelona, Berlin or San Francisco. This is Seville, with all its good and bad points. It offers us a quality of life that is very high right now, and although we’re always watching what happens here and in the rest of the world, we don’t give ourselves geographical boundaries when it comes to work, though we love working here. 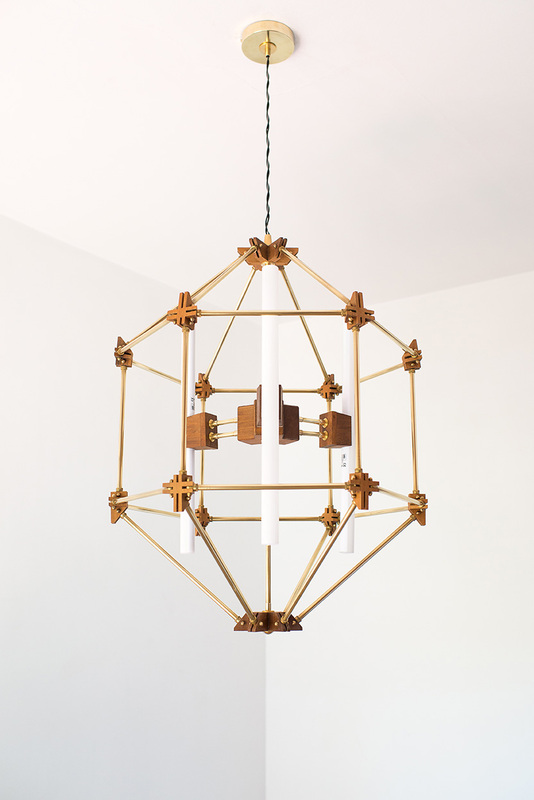 Lamp with brass, the Brave collection polyhedral structure. 3. 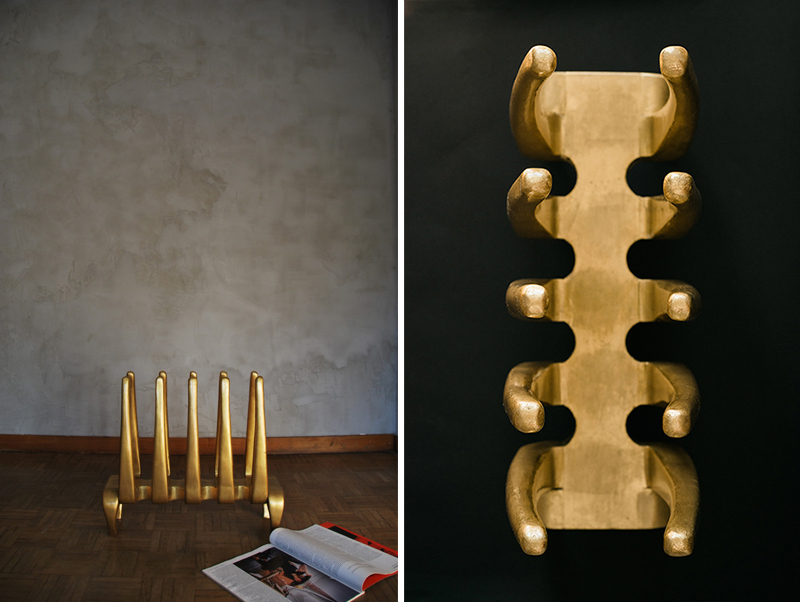 Spanish design, with designation of origin and handmade. Are there too many obstacles to certain victory being so young? When we talk about design we believe that it’s important to have an international approach. For us, it’s also essential right now, but we’re clear that we want to be a Spanish brand. After all, that’s also a selling point. And for us our hands are how we give expression to our experimentation and they are a necessity in our projects. 4. You designs are known for their functionality. 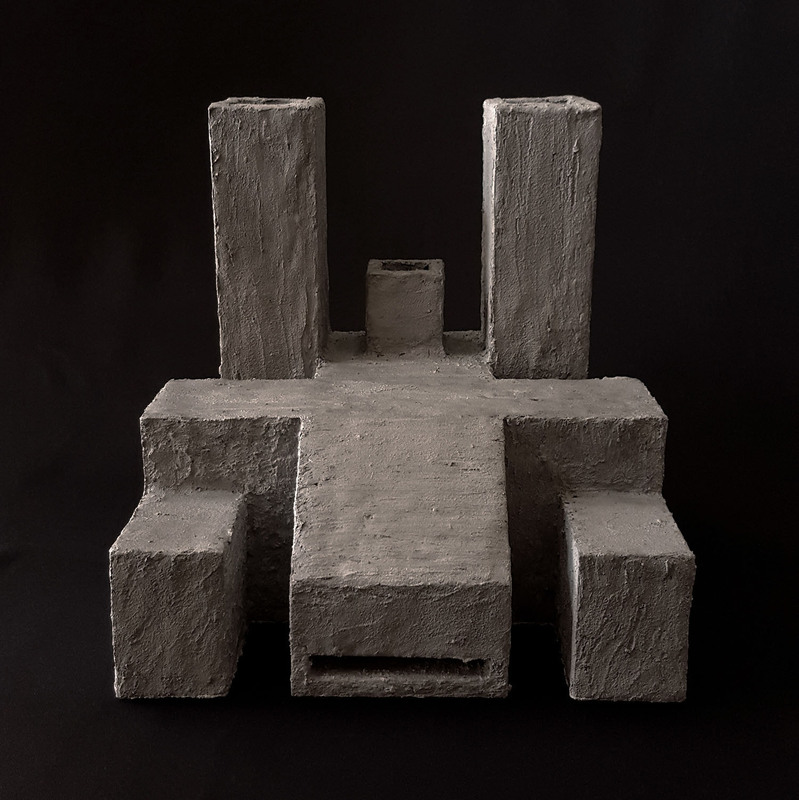 But you also experiment with materials and architectural forms that function more as works of art than as furniture. How do you combine the two disciplines? The function is essential, even if that function is purely aesthetic and has a more sensory value. As for the work itself, we pull together until the project is completed. Managing to explain an idea to each other is, at times, complicated and fun. Lion sculpture in the desert town collection. Numbered and limited edition series. 5. Should we look for a special language in each of your projects? The undercurrent of all our pieces is the same. There’s undoubtedly an evolution, both from a conceptual perspective and in terms of processes and ambitions when it comes to transmitting a concept, but the imagery and what drives the studio remains the same. 6. Do people, in general, understand the term ‘artisan’ and the higher cost of these kinds of pieces? 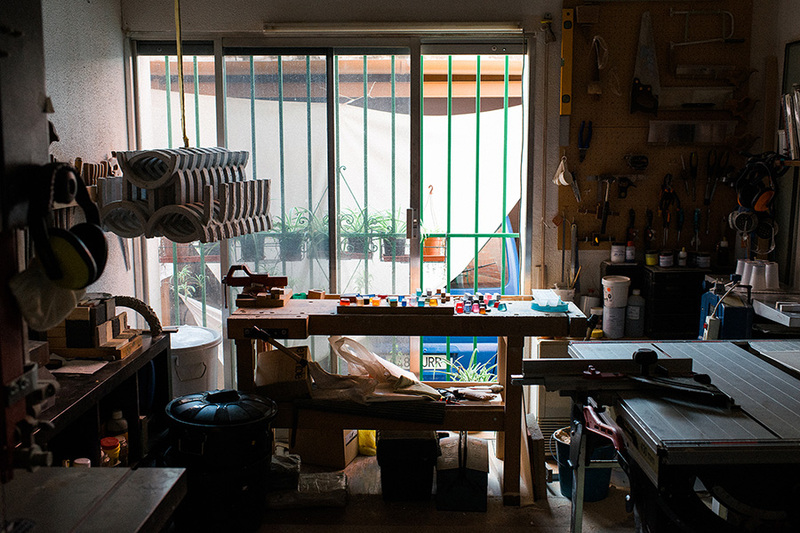 Do you have a design concept that sets the tone of the studio’s output? We’re aimed at a very specific clientele; ultimately your design has to fit many aspects of a person: they have to like it, it has to transmit what they are and fit their budget. It’s not so much the cost but your priorities when it comes to spending your money (whatever the object is). At a design level, everything is part of the same common thread, of our own imagery, which is a mixture of many things and takes inspiration from many sources. Table Artro and Frankie models luminaries. 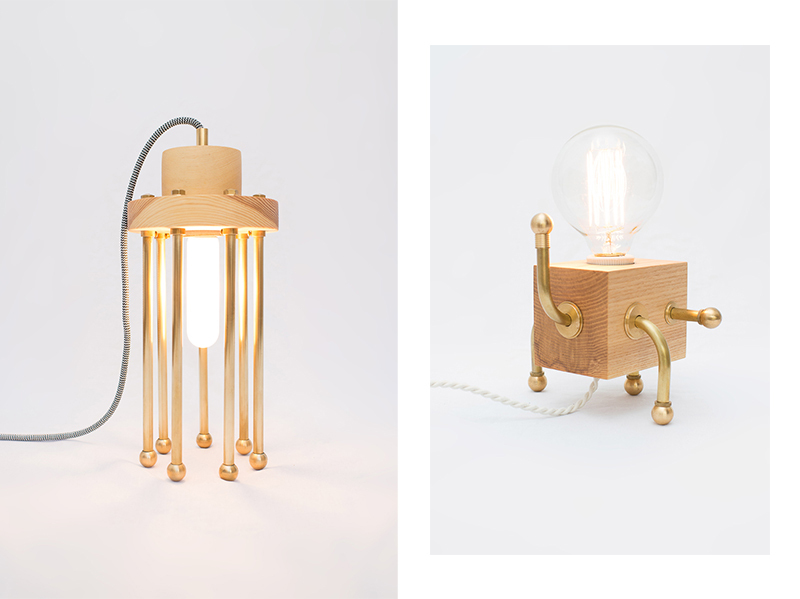 Both finished in wood and brass. 7. Wood, some metal, resins… Does the material determine the design, or does it depend on the project? Experimenting with various materials is a necessity in the studio right now, but it’s a means of expression, not the other way around. 8. Which field would you like to tackle but makes you hesitant or you haven’t yet ventured to touch on? We’re investigating projects that are visually more organic. We struggle to move away from straight lines, from geometry, from planes, angles and edges. We’re looking for new forms, new textures, new materials. Magazine rack and sculpture limited edition works . Performed by hand and numbered edition. 9. How do people react when they discover that Antoñito and Manolín are a couple and that they’re married? I imagine it creates some confusion, but it has never been a problem. On the contrary, we love it and for us it’s very special. 10. What’s the next thing we’ll see with the Antoñito y Manolín label? 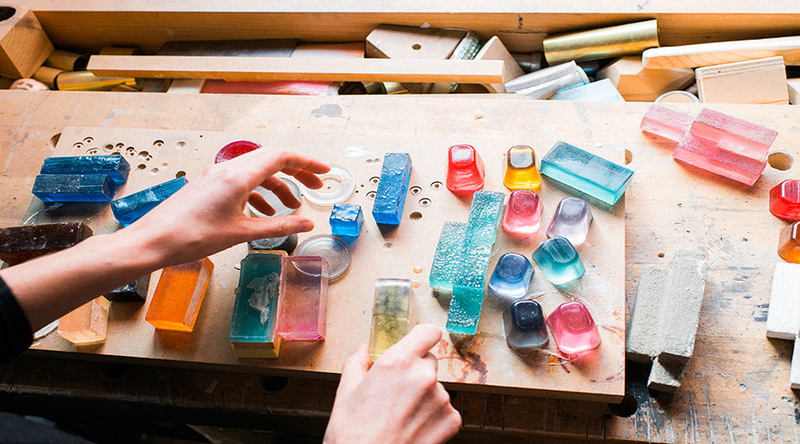 We want to present lighting pieces made from resin, and although the processes are very long with this material, we hope they’ll be ready soon. Reflectorio chair and sunbed Knowledge. 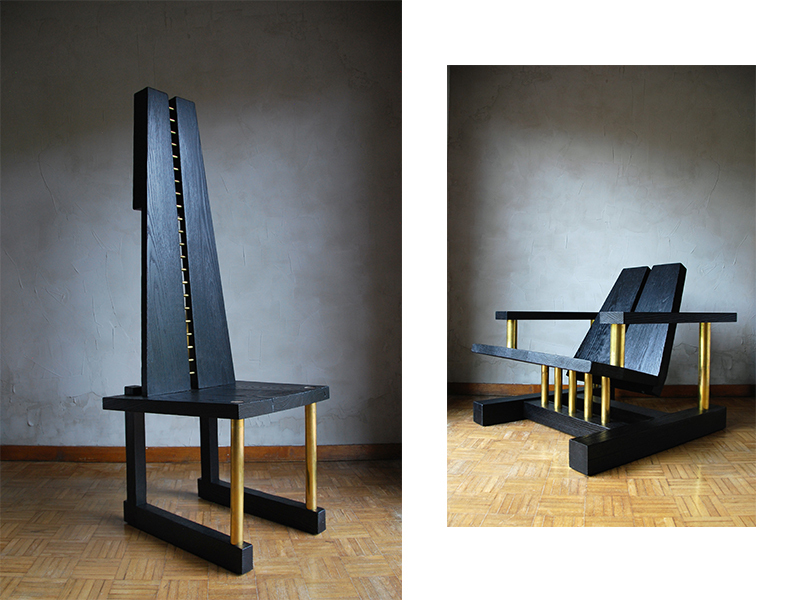 Both seats are finished in burnt ash wood and polished brass. Study view Antoñito and Manolito workshop. Fotos: Miguel Jiménez / Antoñito y Manolín /Maxime B.